English Language is referred as a Global Language nowadays and has secured its position in the fields of medicines, science, arts, commerce, trade, international negotiation, technological studies and much more to add. Competitive exams are no exception. English is recognized as a major aspect in almost all the competitive exams like Banking Exam, SSC-CHSL & CGL, and State Level Exams. 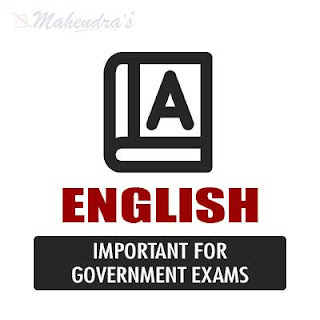 These exams have questions based on language structure, vocabulary, sentence Rearrangement, Synonyms-Antonyms, Cloze Test, Voices, Direct-Indirect and Error spotting. So here we are providing some important English Notes in the form of Study Notes. In every study notes we will discuss one important topic with examples in detail. It will definitely build a basic understanding of grammar rules and practical usage of the rules.